No Vlogging this week, we are back to nice, static photos to show a few gems from the reliably excellent Stafford show. 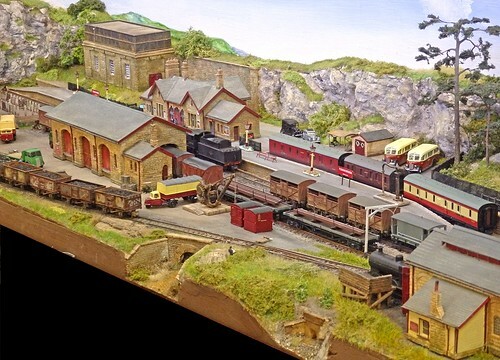 Top of the blog is Todmorden Midland, one of the best N gauge layout's I've ever seen. Not a big model by any means, I like the colour and life in the scene. There's loads of detail to appeal to me. Trains move too which is a bonus, but I was happy just to explore the scene with my eyes. At the other end of the scale (pun intended) is the Albion Estates railway. 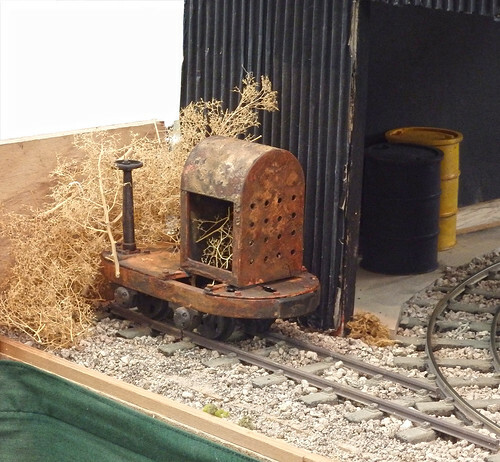 1/12th scale running on 32mm gauge track. A nice combination allowing for a modest size model, 12ft long including fiddle yard, but plenty of detail. Much of this comes from the dolls house world, so isn't even that hard to do. Locos and rolling stock are scratchbuilt on cheapo track-powered O gauge chassis. 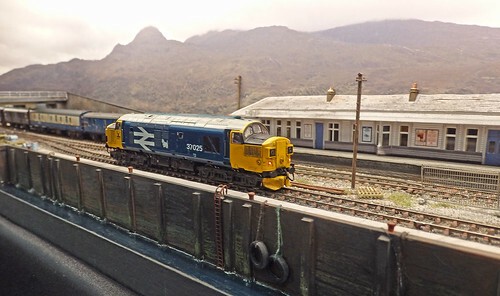 The programme's front cover featured possibly the tiniest model in the show - Kyle of Lochalsh in N gauge. If you have no space, this 2ft(ish) by 6inch(ish) model doesn't have masses of operation potential, but it's a pretty good representation of the current real station and certainly looks the part. Baragin hunting is a big part, for me, of Stafford. 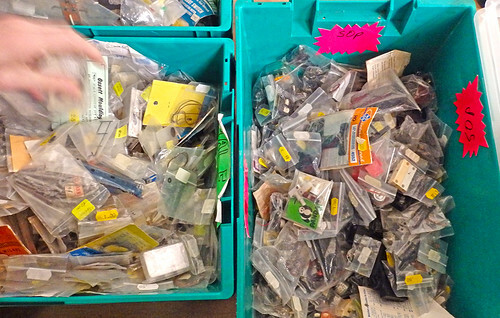 The guys on the second hand stall recognise me and this year I hovered up four Zero One chips at 50p each and some chunky key switches from the 1970s (I think) that I have no use for, but will add to my chunky electrical bits box. Country Park models also take a bit of money (cash, no mobile signal at Stafford means unreliable PDQ machines unless they get the WiFi passord) from me, but I want to look at these in a future post. There was of course lots and lots of chat, a delicious sausage bap when I got there and was waiting for the queue to filter in a bit, more excellent chilli and rice plus a small slice of cake.